INTRA GROUP provide machinery to produce Aac Blocks in Hyderabad.AAC industry in India is nowadays growing very fast and also many construction companies are converting from traditional construction to AAC block construction. AAC blocks is very light weight, easy to use which is being preferred over concrete blocks.Today in India there are more than 100 AAC block manufacturers which comprises of tiny, small, medium and big players in market and also industry is growing at a rapid pace. We also offer different technologies in the AAC block production line. This is the best technology by itself and various methods and technologies are also available by which aac blocks can be manufactured. We have a vast experience in the Autoclaved aerated concrete blocks which gives 2K an edge over its competition. We have visited numerous AAC block production plants across the world. 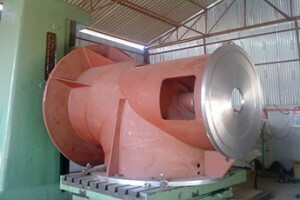 We has extremely large knowledge in the methods to manufacture AAC blocks. We are well equipped with in house technicians and engineers in order to supply best AAC block manufacturing plant. We were responsible for setting up the first AAC plants in India which is still running successfully.